The England and Wales Cricket board has announced a four-year title sponsorship deal for the County Championship with Specsavers. The 125-year-old competition had been sponsored for the past 13 seasons by insurance firm LV=. 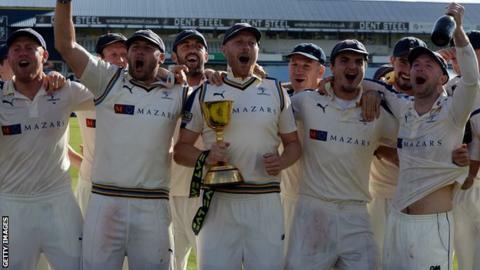 Yorkshire won the title title for the second-straight year in 2015, and the new season gets under way on 10 April. The financial terms of the new sponsorship agreement have not been disclosed. However, ECB commercial director Sanjay Patel said the deal highlighted "once again that cricket is an attractive property to a wide range of different brands and businesses".